Plaquemine native Dr. Angele D. Bourg combines an enjoyment of community involvement with helping people to live healthier lives. A graduate of LSU in 1995, she earned her M.D. from the LSU School of Medicine in Shreveport in 2001, followed by completion of her residency in Rheumatology and Internal Medicine through the University of Mississippi in 2006. Joining the Baton Rouge Clinic in August 2006, Dr. Bourg balances her medical practice with professional involvement in her field of Rheumatology. 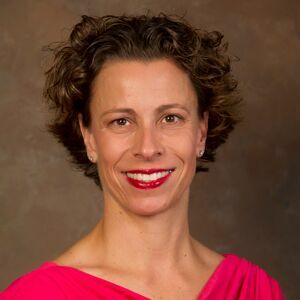 She is an Associate Professor of Rheumatology at LSU, has served as Osteoporosis Center Director for the Baton Rouge Clinic, and is a member of the American College of Rheumatology, the National Osteoporosis Foundation, and the Louisiana State Medical Society. She is certified as a Clinical Densitometrist which allows her to read bone density tests for Osteoporosis. She is licensed to practice medicine in the state of Louisiana. Married with two children, Dr. Bourg is a Daisy Scouts volunteer, is a member of St. Aloysius Catholic Church, and assists with the St. Aloysius Sunday School program. She enjoys a range of sporting activities in her time away from her practice in addition to traveling and reading.